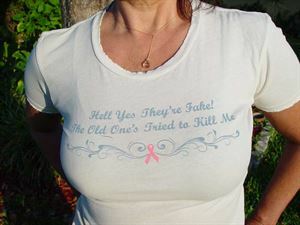 FOR THOSE WHO HAD BREAST SURGERY, THIS TOP IS FOR YOU. 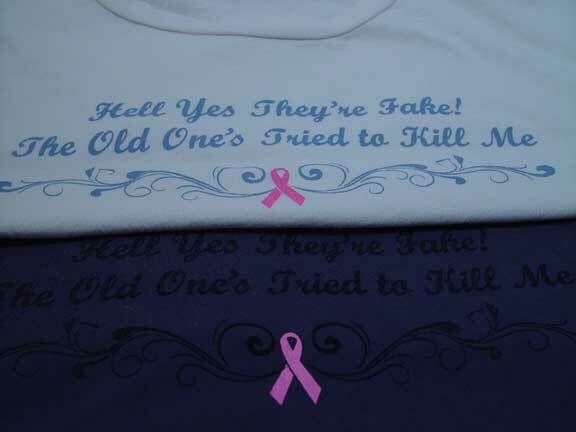 IT DEFINITELY WILL START A CONVERSATION, BRING AWARENESS AND A LAUGH TO OTHERS. SPREAD THE WORD AND REMEMBER LAUGHTER IS THE BEST MEDICINE. SUPER SOFT AND THIN 100% COTTON JERSEY, GARMENT DYED AND WASHED. MADE IN U.S.A.